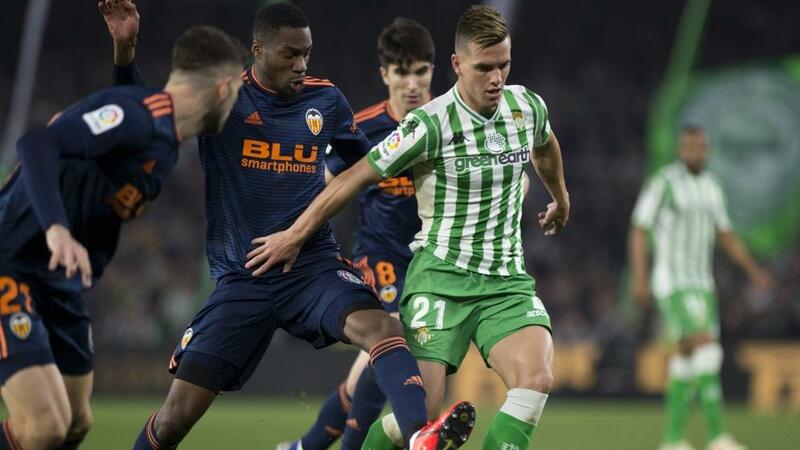 Valencia staged another late Cup comeback as Kevin Gameiro's injury-time strike snatched a 2-2 draw with Real Betis in the first leg of their Copa del Rey semi-final at the Benito Villamarin on Thursday. Betis, playing in the last four for the first time since lifting the trophy in 2005, grabbed the lead in the semi-final, first leg when Loren nodded home after a short corner routine on the stroke of half-time. The Seville outfit looked to be closing in on a home final against either Barcelona or Real Madrid when 37-year-old former Spain winger Joaquin scored directly from a corner, but Denis Cheryshev pulled one back for Valencia with 20 minutes to play. Visitors Valencia, having scored twice in injury time to edge out Getafe in the quarters, levelled in the 92nd minute as substitute Gameiro diverted in Rodrigo's low cross. The two teams will meet again at the Mestalla on February 28.